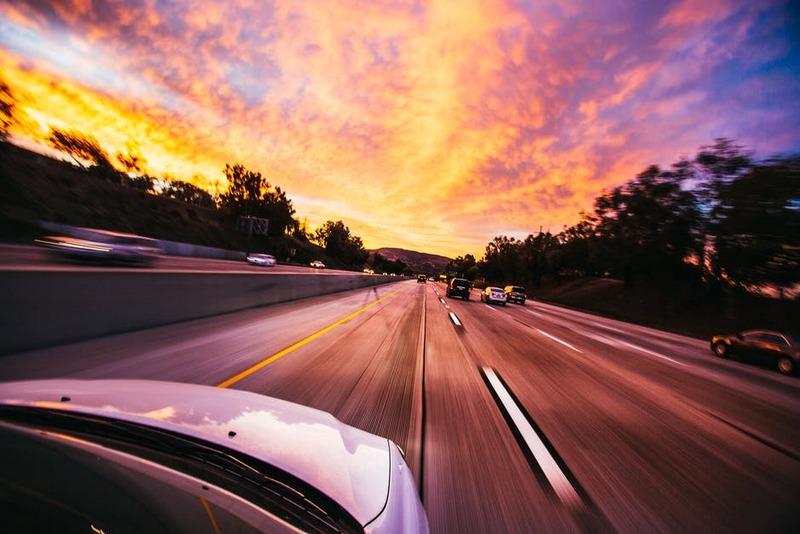 If you are into racing or are simply an adrenaline junkie, then speed must be one of the first things you check for before buying a car. The downside is that these cars come with a high purchase price as well as operational cost. Nonetheless, they are totally worth it because driving in a slow-moving car can be very annoying and tiring especially for long distances. In a bid to remedy this situation and to feed speed junkies, different car manufacturers have come to the rescue by manufacturing lightning fast cars. In order to be included in the world's fastest car chart, car makers have to beat the 200 mph speed mark and below is a list of cars that have without a doubt earned the right to be called the fastest cars in the world. 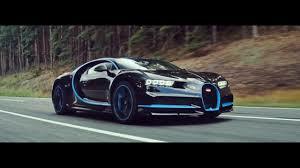 The Chiron is a master class from the legendary super sports car manufacturer Bugatti owned by Volkswagen. Its engineers outdid themselves combining both luxury and performance seamlessly. The car is fitted with an eight-liter quad double charged engine. This powerful engine means it produces a power of 1,500 hp as well exerting a force of 1,600 nm. The engine's power means it requires approximately 60,000 liters of air pumped through it every minute. In addition, 800 liters of water circulates through the engine to ensure sufficient cooling. This particular feature in its engine allows it to reach speeds of about 500 km/h. To also improve on its performance, lightweight materials such carbon fiber are used. With production capped at 500 pieces, the Chiron gives people who can afford it comfort, luxury, and performance. Their limited number means owners get to experience a sense of uniqueness as an added advantage. 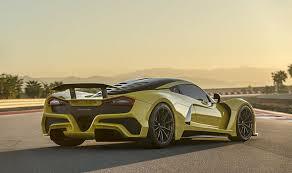 The Venom F5 is the ultimate king in the fastest cars club. Built to be able to achieve a speed of up to 301 mph, there is no question why it is the king. To attain these speeds, it is fitted with a twin turbo aluminum v8 7.4 liter engine. The engine can output power equivalent to 1,600 horsepower and a force of 1,300 nm. A carbon fiber chassis weighing 2900 pounds makes it safe even at top speed. The Venom F5 is also fitted with a seven speed transmission. The transmission and engine power enables it to achieve accelerations of between 0 to 180 mph in ten seconds. This would truly present a driver with a really amazing experience for the adrenaline junkies. The Agera Rs is another speed king. It achieved the 277 mph mark, consequently earning a spot in the Guinness Book of Records, for attaining the highest speed recorded on a public road. The Agera comes with underbody flap systems and an active rear spoiler for additional stability at high speeds. It is fitted with a twin turbo aluminum v8 5 liter engine. The engines put out an incredible power of 1160 hp aided by its seven speed paddle shift also available on an automatic mode. Its braking systems are made from ventilated ceramic discs, with 4 pistons fitted on the rear brakes and 6 on the front brakes. This allows it to stop even at high speeds within the least possible time. If you are a fast car lover, get yourself the two-door Agera RS with a removable hardtop to make a statement. 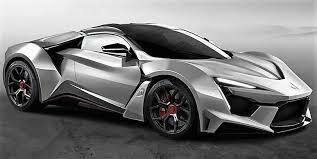 Fenyr supersport is another car model developed to fulfill the urge of driving the fastest cars. It is able to achieve tops speed of upto 248 mph. It has an amazing acceleration with the ability to hit 62 mph within 3 seconds. This is made possible by the installation of a twin turbo 4 liter custom made an engine. The engine is then able to output a power of 900 hp. It is fitted with a seven speed double clutch transmission system. It is fitted with a layered surface design which gives the fenyr an armored vehicle look. Who would not love to have a badass looking car like the Fenyr supersport car? Priced at 1.8 million dollars, it is indeed an expensive machine. However, if you can afford it, get yourself one. I guarantee you won't be disappointed. Fast cars are pricey and hard to find due to their limited production numbers. They, however, give a driver an amazing experience. For the moneyed peeps, try out any of the above car models and prepare to have your minds blown away.